The 2017 shot here isn’t from a pre-rendered cutscene, it’s from the in-engine intro sequence. 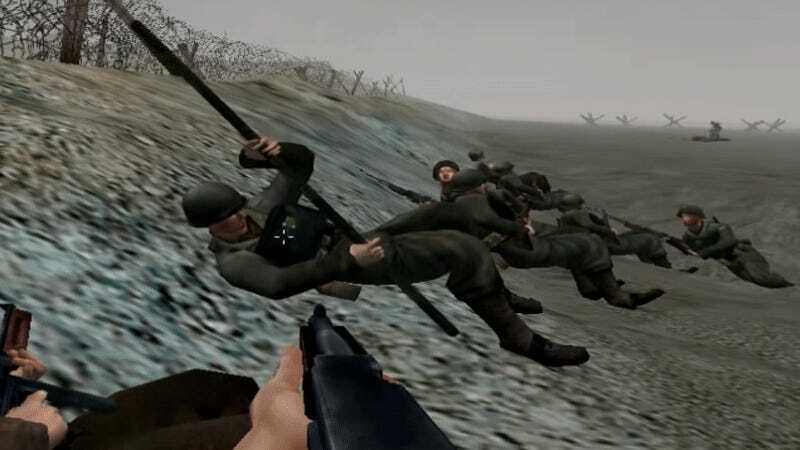 2002's Medal of Honor and 2017's Call of Duty: WW2 have very similar intros (a nice touch, given CoD’s lineage). So similar that they’re a handy example of just how far video game visuals have come in the last 15 years. 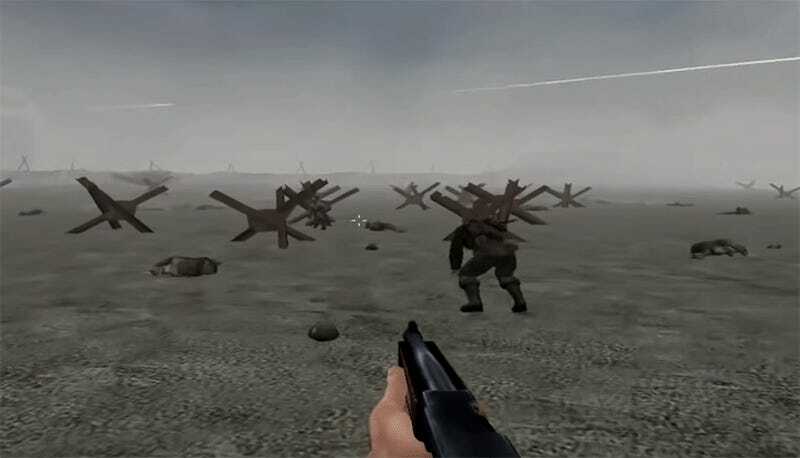 Both involve the same scenario—a first-person invasion of the beaches of Normandy—and both are blockbuster AAA shooters. 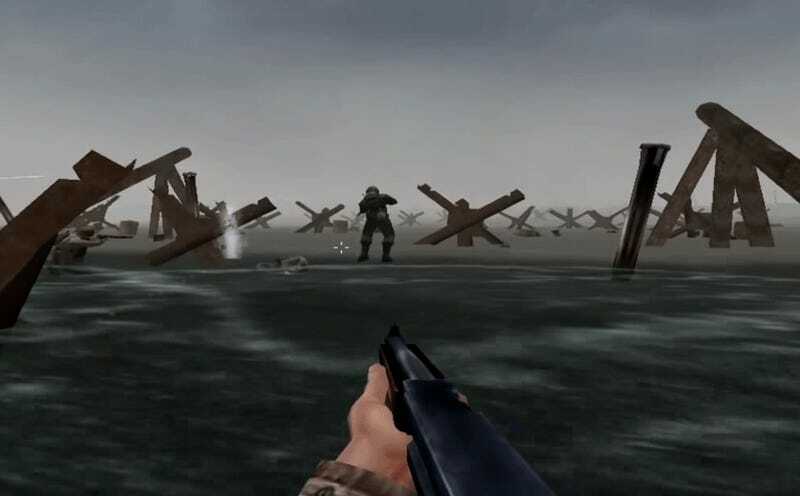 Both begin on landing craft approaching the coast, both involve your craft and teammates getting shot to hell, both involve the use of bangalores to clear wire then both involve mopping up the remaining German forces holed up inside bunkers. Because of this, a lot of shots are similar. At least, their framing is. 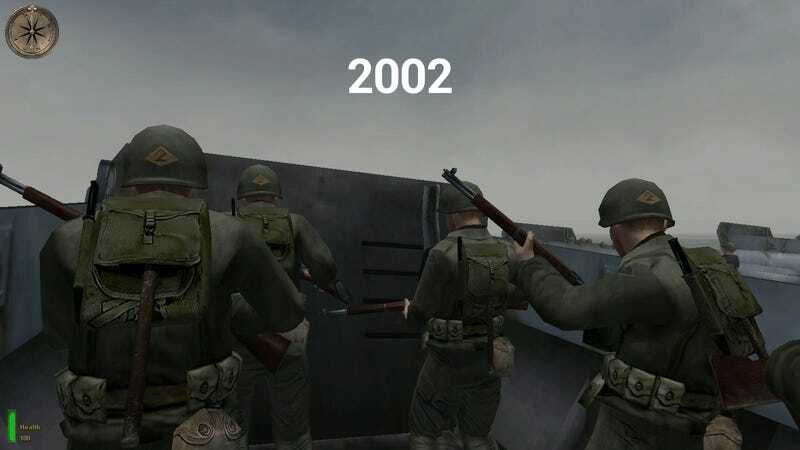 I mean, we all know that graphics get better over time, that’s what graphics do, but I still thought it was interesting to lay some shots of the two games side-by-side, both to see how close they are to each other but also just how many more polygons are braving that machine gun fire this time around.